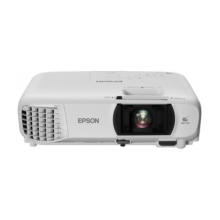 Epson EH-TW6600 Projector with Brilliant image quality requires high colour brightness (colour light output), and Epson® 3LCD projectors have 3x Brighter Colours than leading competitive projectors*. 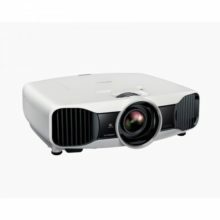 Epson EH-TW6600 Projector 3LCD TechnologyAll Epson projectors are based on 3-chip LCD technology for amazing colour, incredible detail and solid reliability. 3LCD’s 3-chip architecture dedicates an entire chip to process each primary colour – red, green and blue, continuously. Unlike single-chip technology that delivers colour sequentially, you get full-time colour. 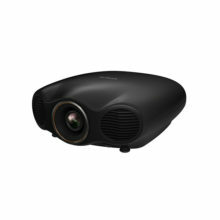 The result is vibrant, realistic images and video all delivered with 3LCD’s true-to-life colour. C2Fine™ Technology Delivers a Higher Contrast RatioC2Fine offers smooth, uniform images with exceptional contrast for better image quality. Based on this new phase-compensation technology, light leakage is eliminated, and, when combined with the auto iris, this technology allows for contrast ratios of up to 70,000:1. Amazing Colour BrightnessFor the best quality images, look for projectors where the colour brightness and white brightness are equal. If colour brightness is lower than white brightness, photos, videos and graphics can look dull and washed out. 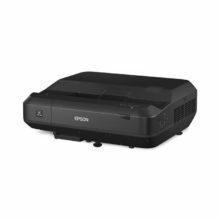 The Epson EH-TW6600 delivers 2,500 Lumens of colour brightness and 2,500 Lumens of white brightness (light output) for rich, colourful images. 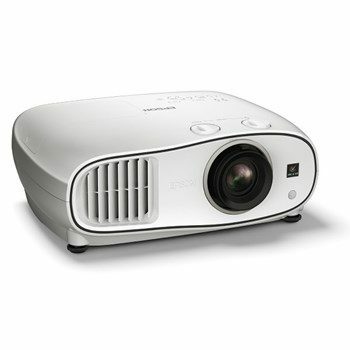 Features 2500 lumens of color brightness (color light output) and 2500 lumens of white brightness (white light output). With integrated support for multiple connection methods, including HDMI to suit a wide range of entertainment devices, the EH-TW6600 makes home entertainment more accessible than ever. The EH-TW6600 features a unique 2D to 3D conversion function with three levels of image depth. Simply select the screen size and adjust it to your preference, then sit back and be immersed in an engaging movie experience. Super-resolution technology uses mixed colour separation to improve the resolution of images that become blurry when enlarged, making them smooth and sharp. By sensing ambient light, the colour mode is selected automatically. This allows users to enjoy big screen entertainment at the best setting. The EH-TW6600 is designed with the air exhaust at the front so that you can easily install even in narrow spaces. Place it on a bookshelf or close to walls without worrying about maintaining clearance for ventilation. The Picture-in-Picture function gives you a preview of other HDMI source that you have intention to switch on your screen. Easily swaps it with the main picture or change the size and placement of sub-picture on the screen.